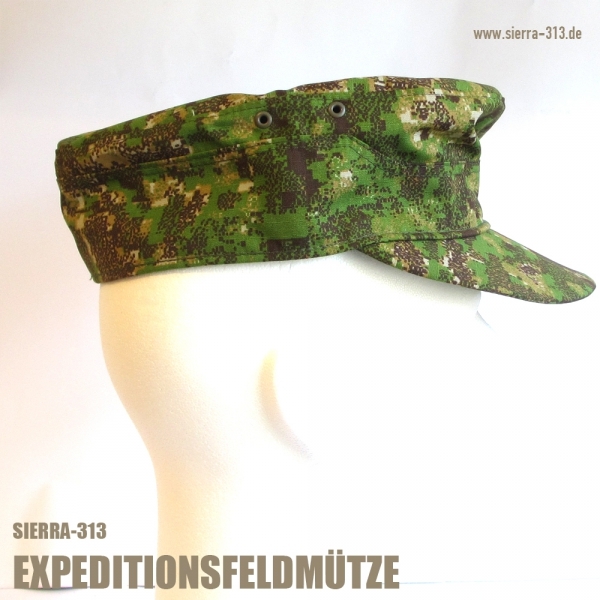 You might have a hard time getting your tongue around that long name for these caps, so you could always call it an M-43-style Field Cap instead. 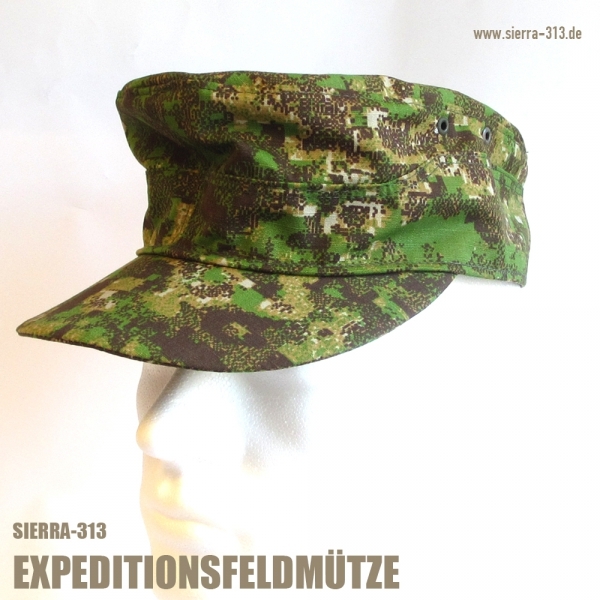 But whatever you call it, SIERRA-313, together with Taunus Taktik, has answered the demand for this type of cap and is now offering them in all 4 PenCott colorways, as well as a host of other camouflage patterns and solid colors. Each cap is hand-made in Germany, and will only be available for a limited time – so get one while you can! 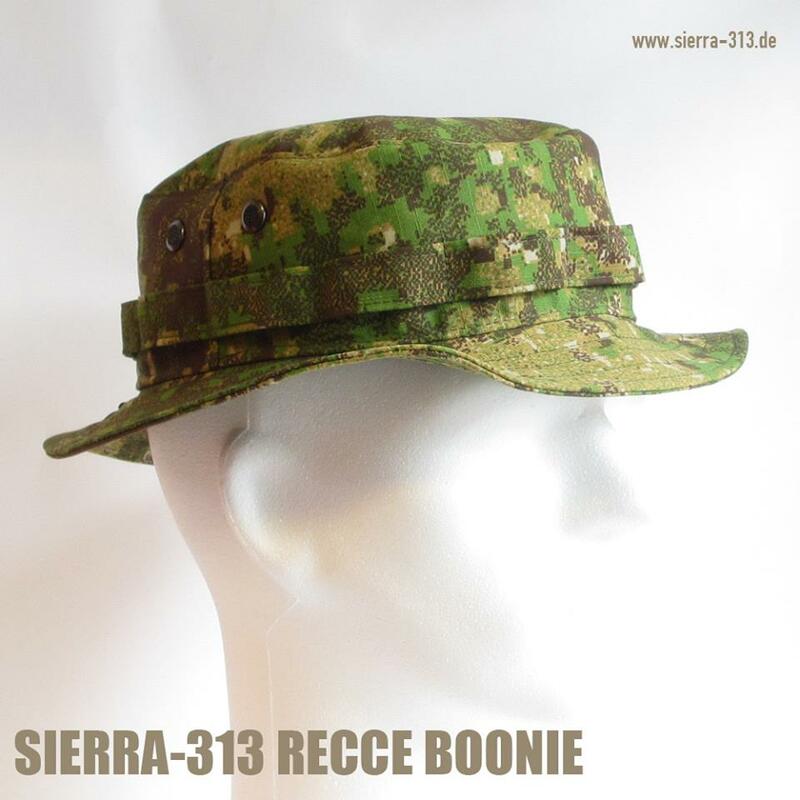 SIERRA-313 have reworked the famous short-brimmed, “recce”-style bush hats worn by UK and South African Special Forces, and come up with a unique and improved design of their own. 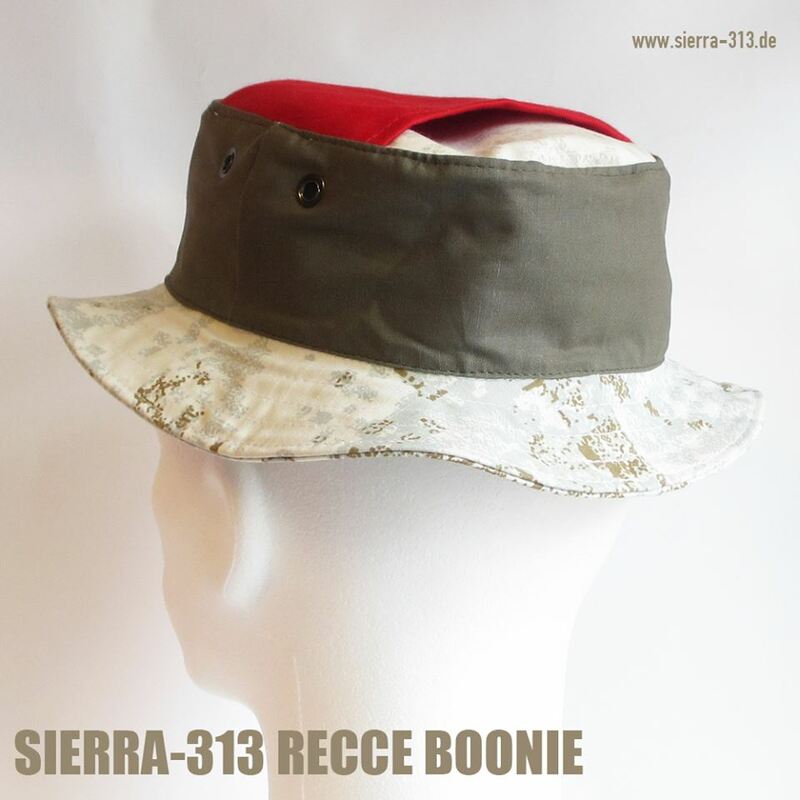 The SIERRA-313 Recce Boonie features a preformed short brim, a cloth foliage loop that goes all around the hat, 2 ventilation eyelets on each side, a patch of loop fastener for affixing “cat eyes”, a map/ID pocket inside the crown, and a special “signal red” band sewn into the inside of the crown for emergency signaling purposes. Get them here - be sure to “like” SIERRA-313 on facebook as well. 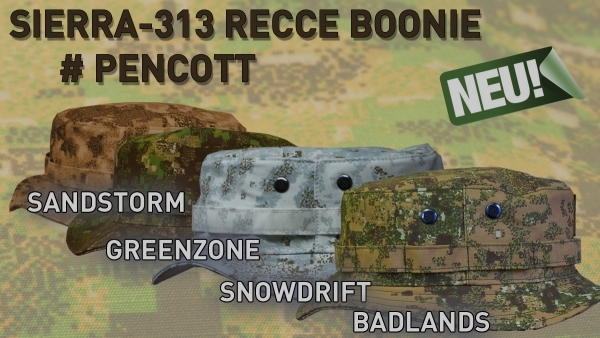 And don’t forget – SIERRA-313 also has PenCott nametapes too! Based on milspec printed webbing from Texcel Industries, Sierra-313 now offers customized / personalized PenCott name-tapes. Currently, only GreenZone and SnowDrift patterns are available.